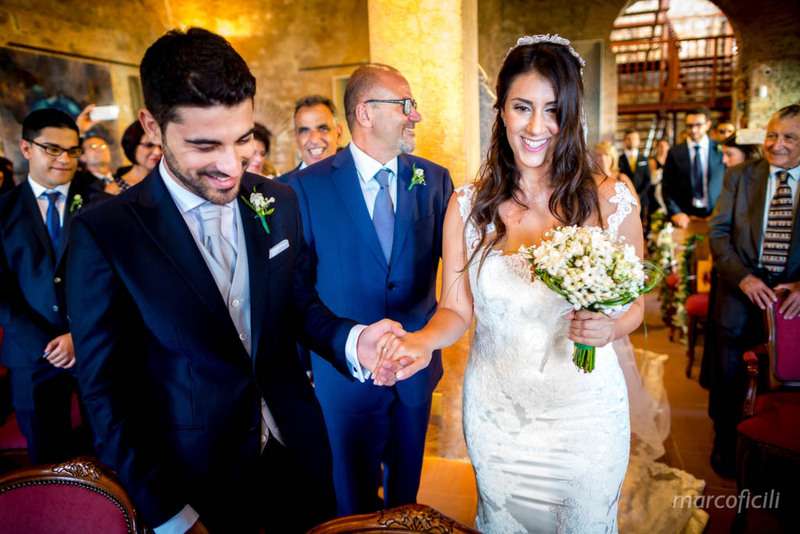 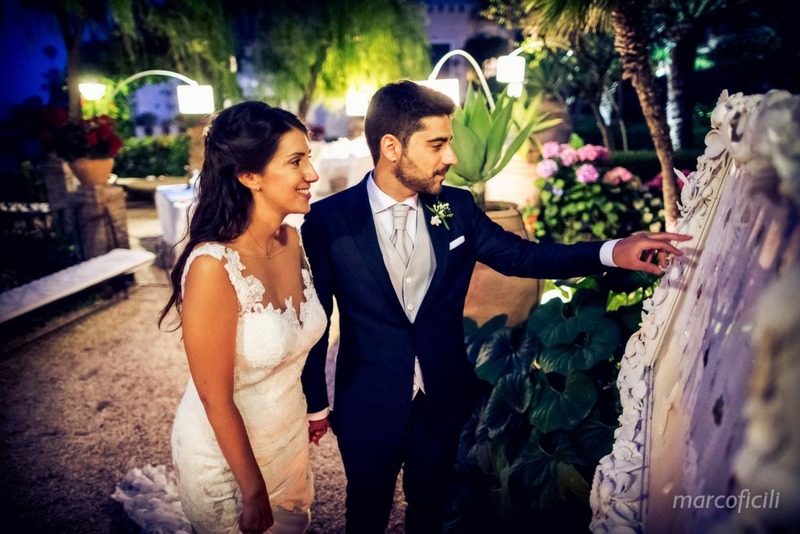 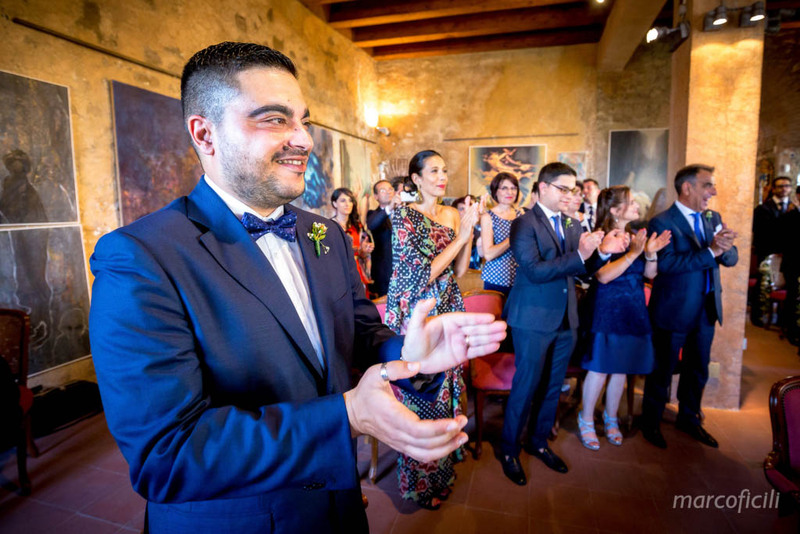 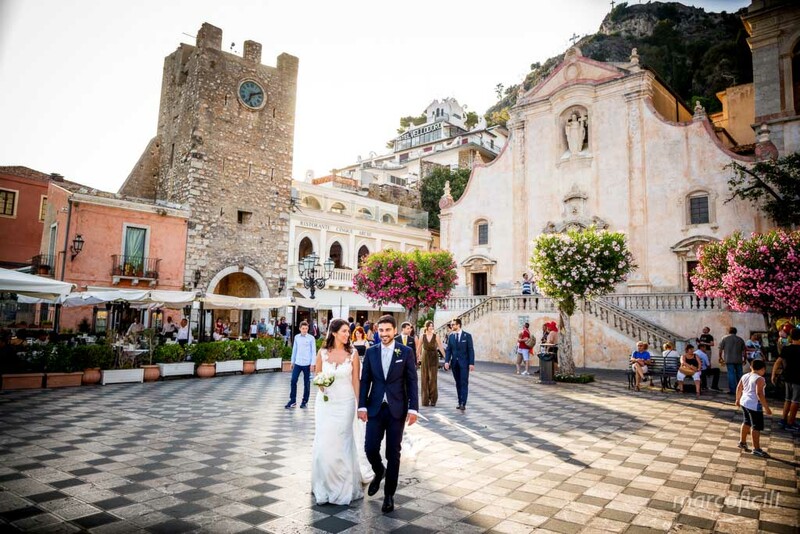 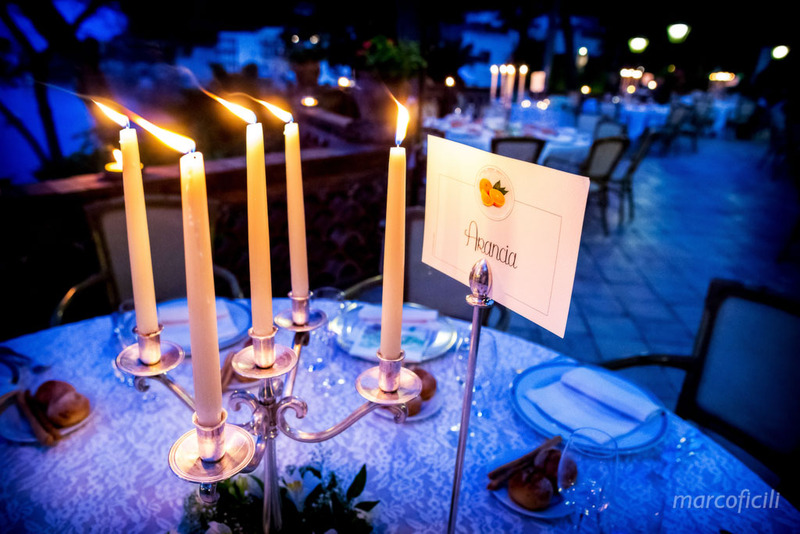 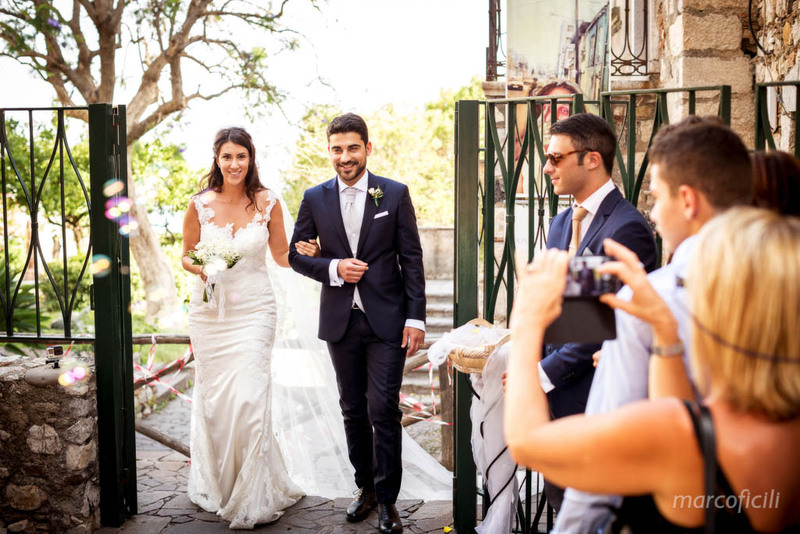 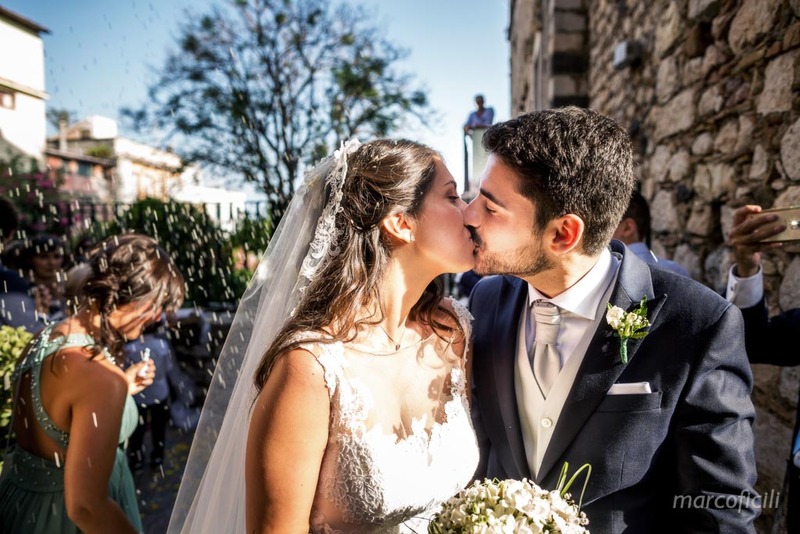 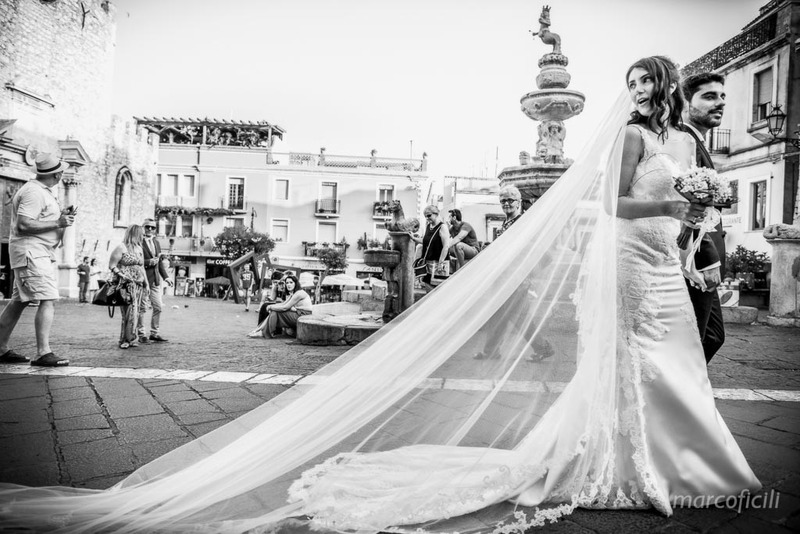 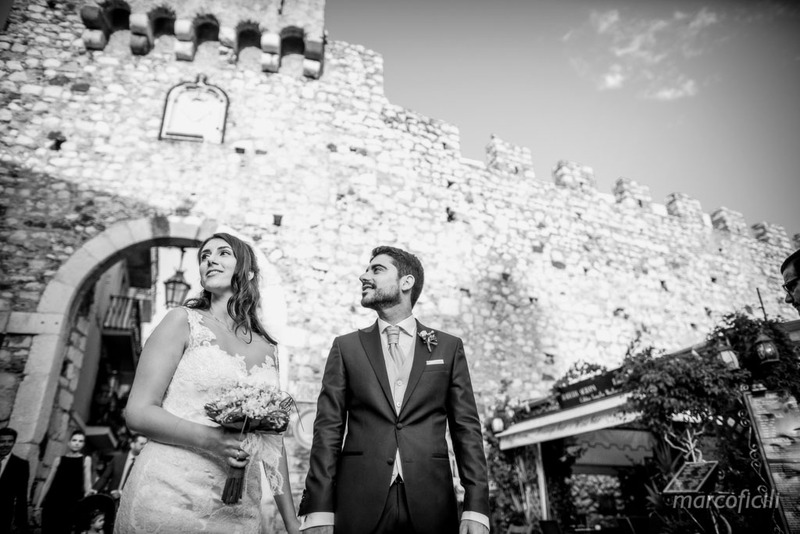 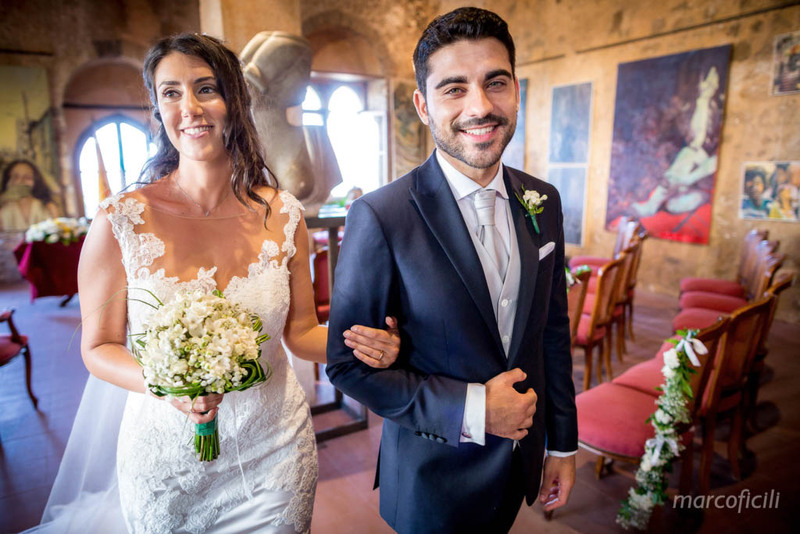 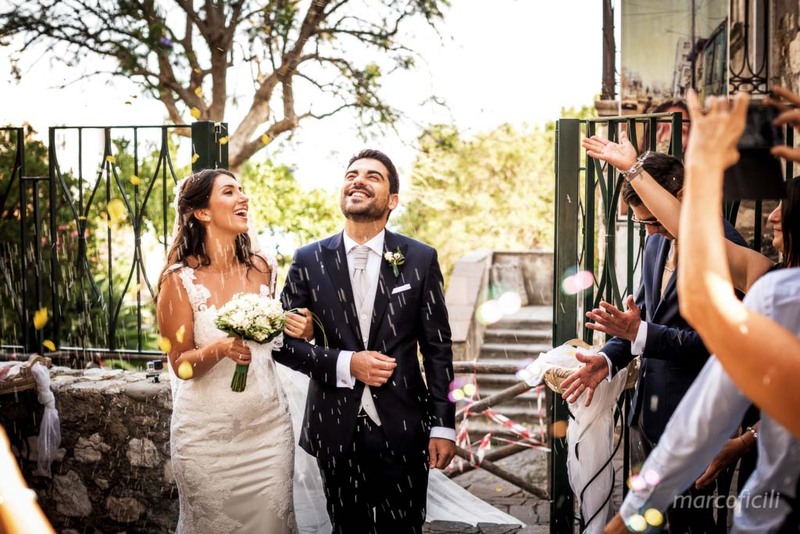 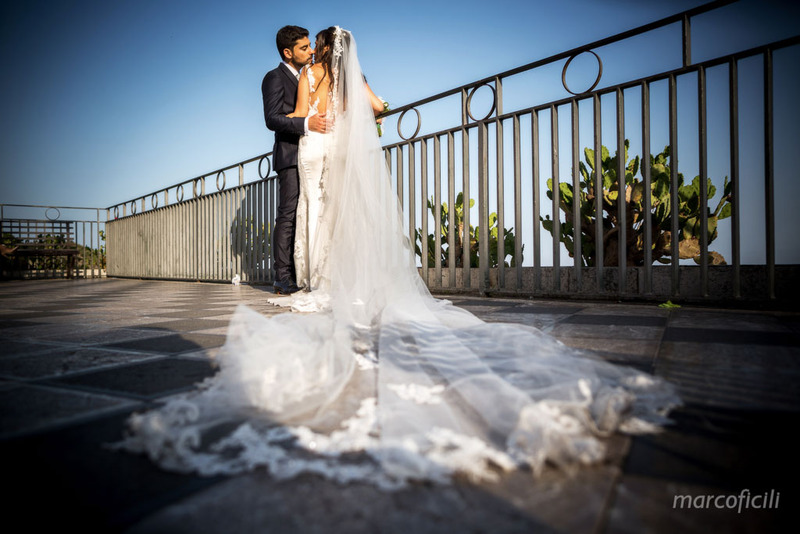 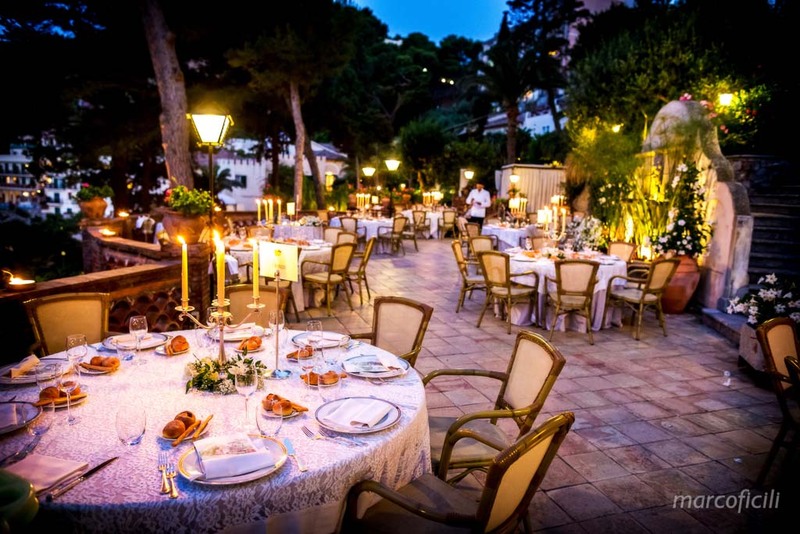 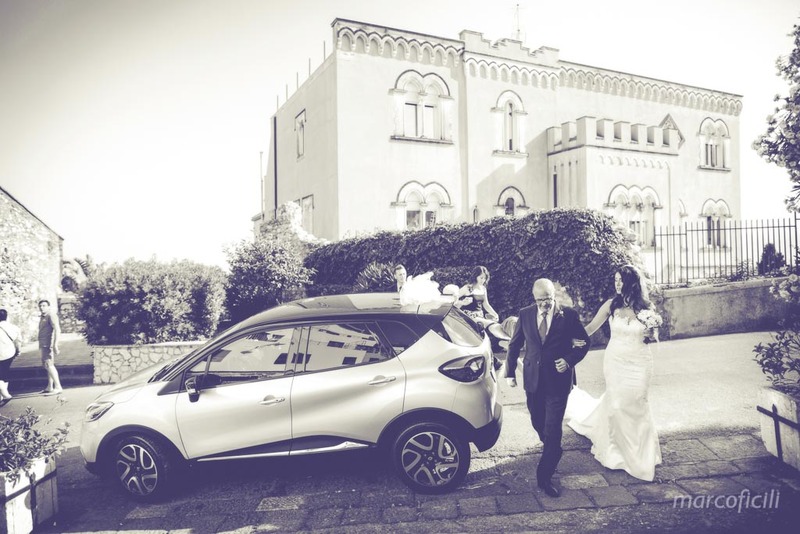 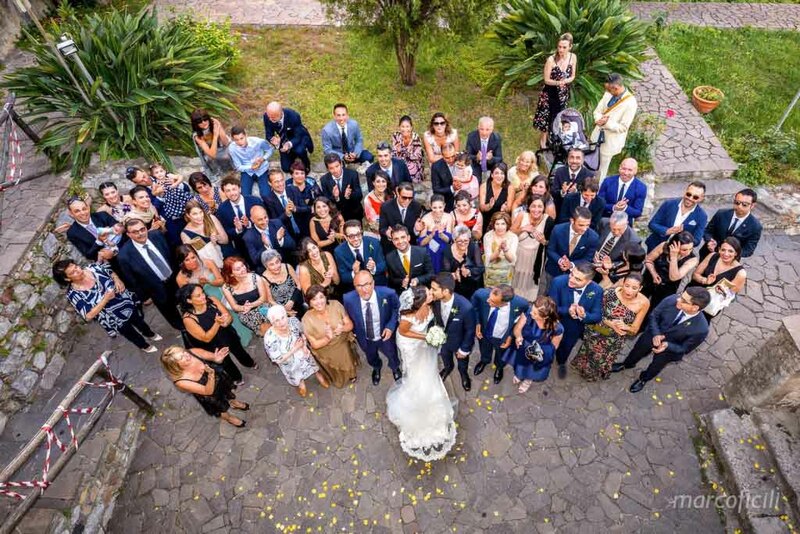 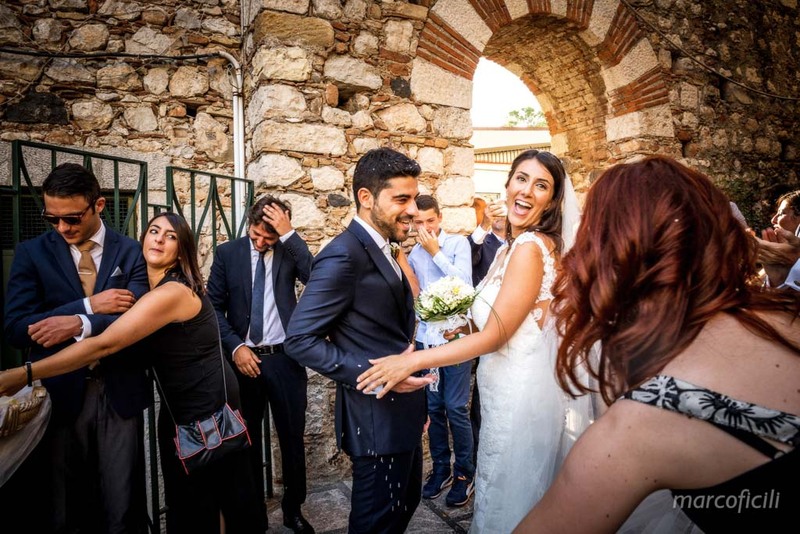 Wedding Palazzo Duchi di Santo Stefano Taormina – Elena and Antonio both chose Taormina to celebrate their most beautiful day! 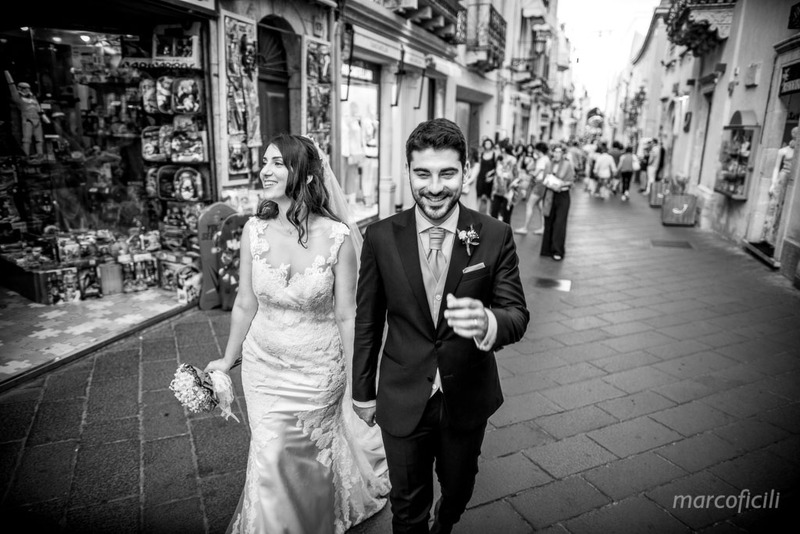 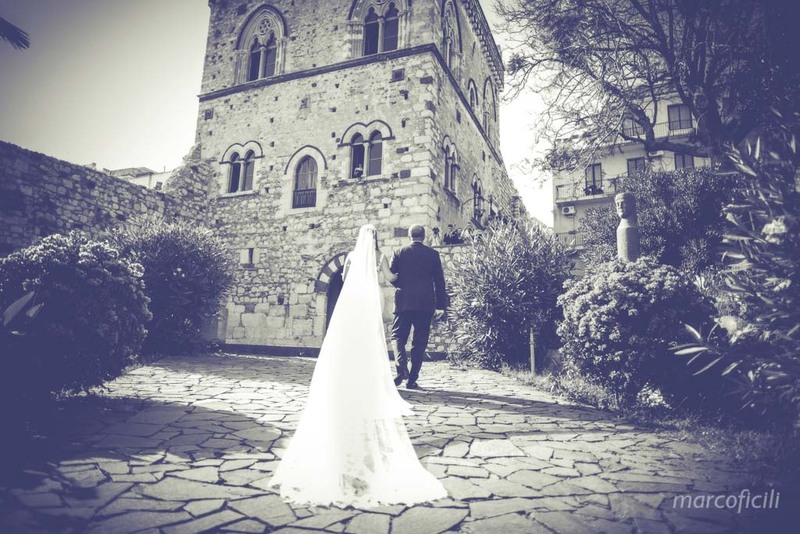 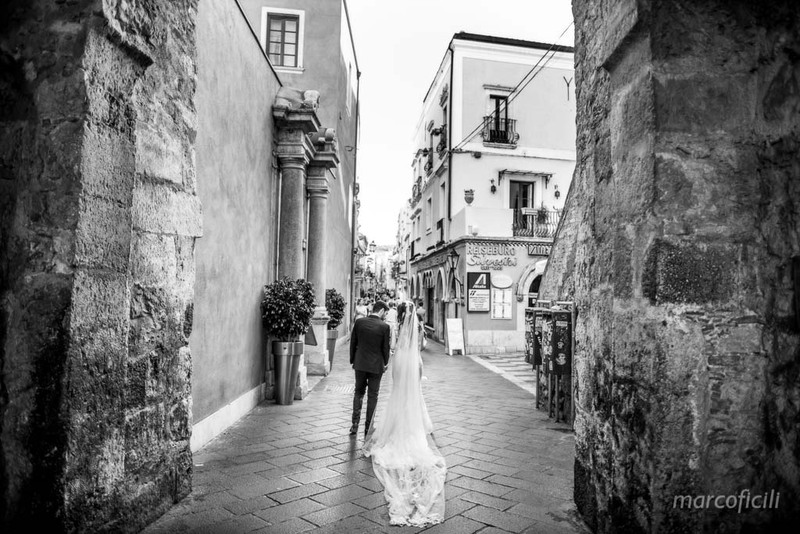 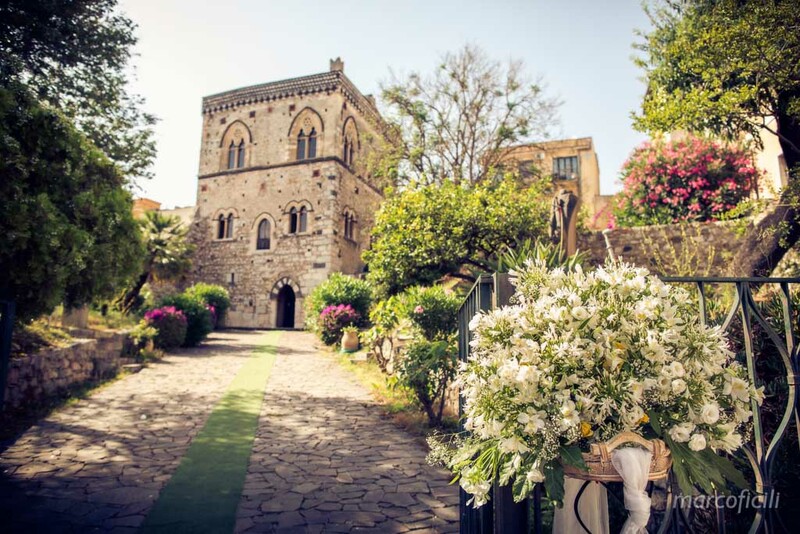 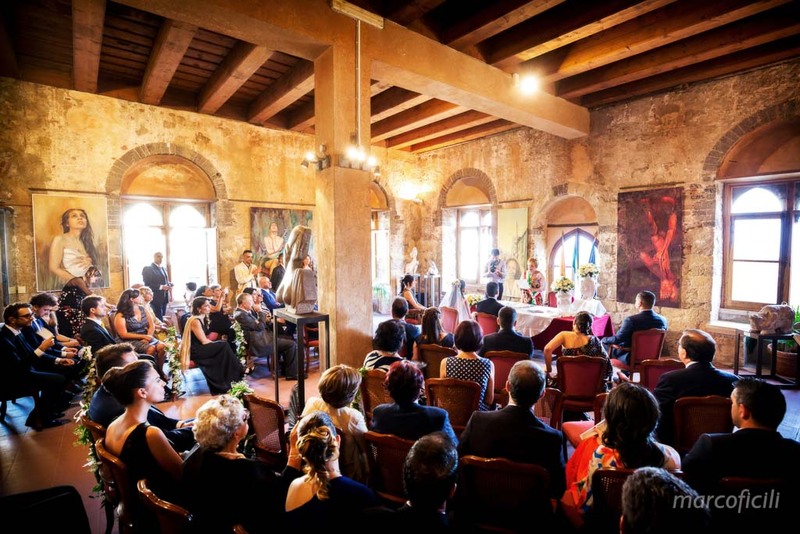 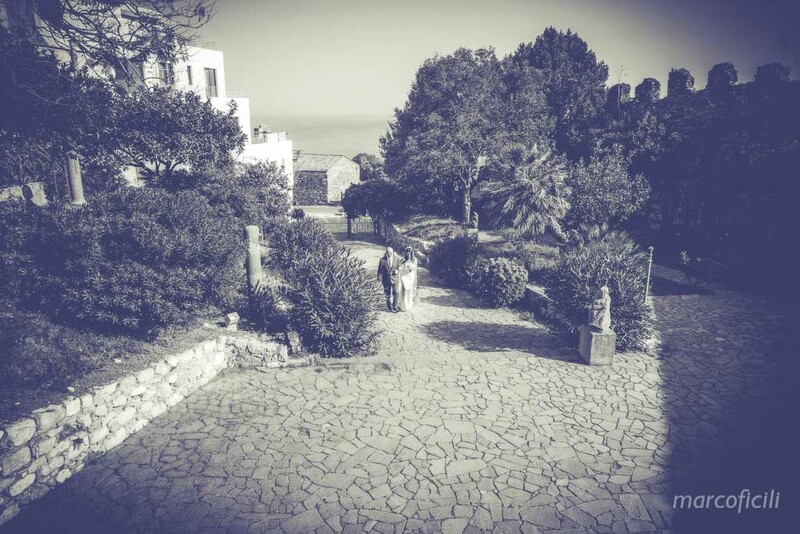 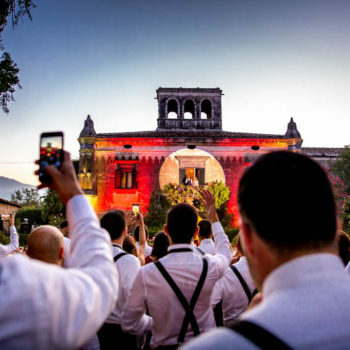 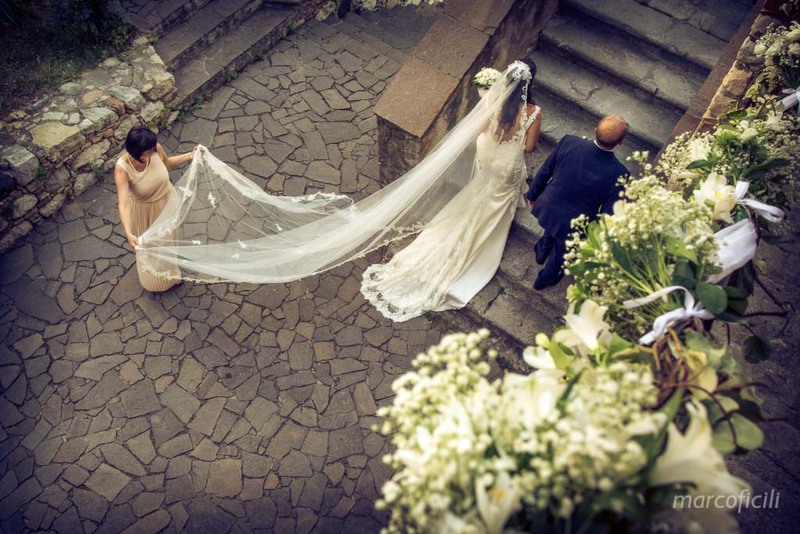 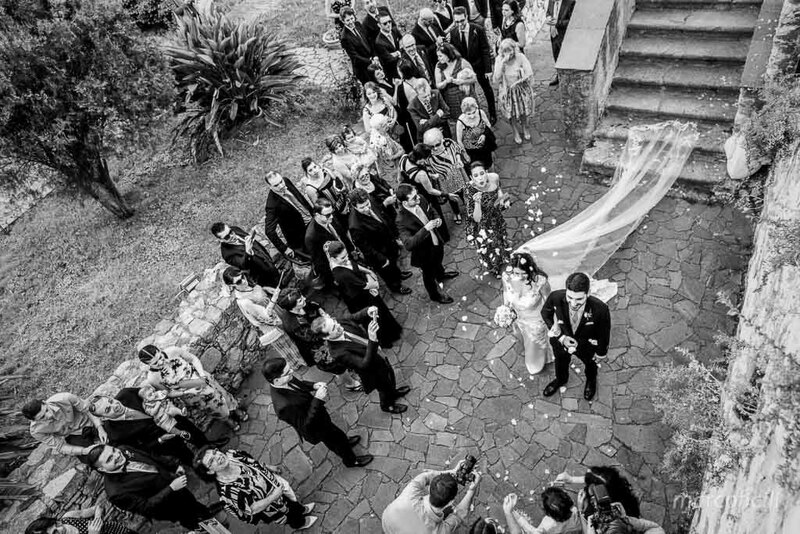 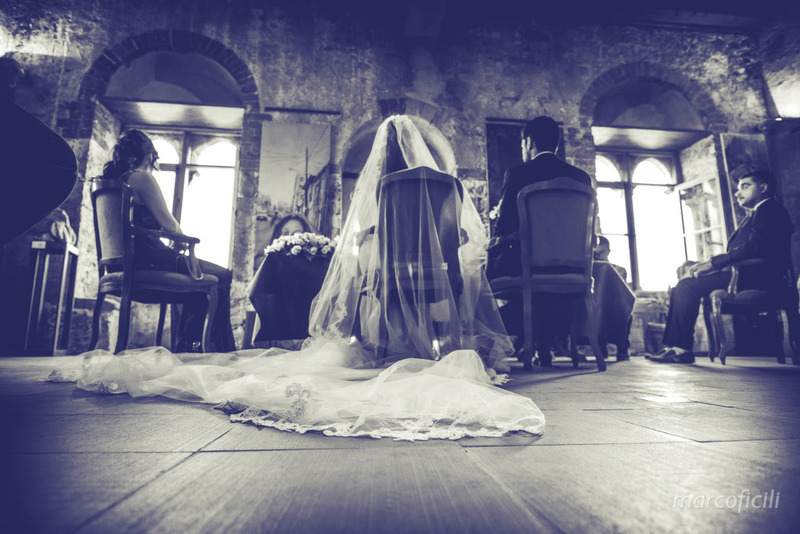 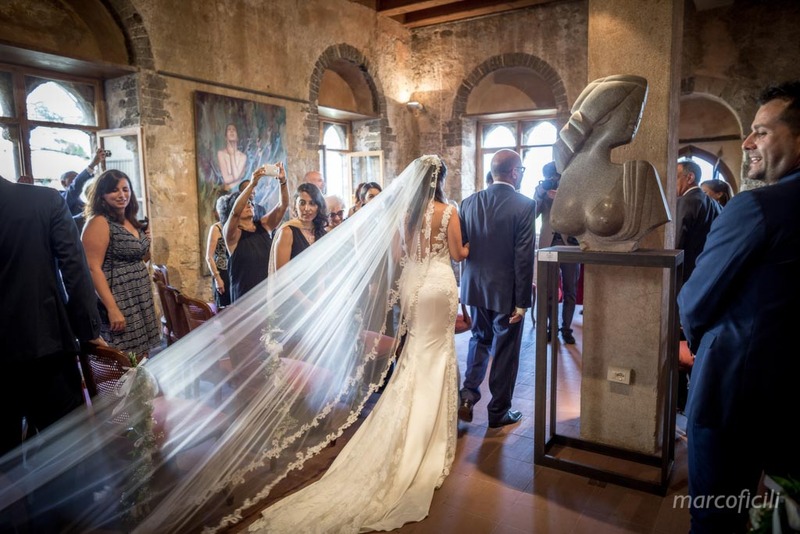 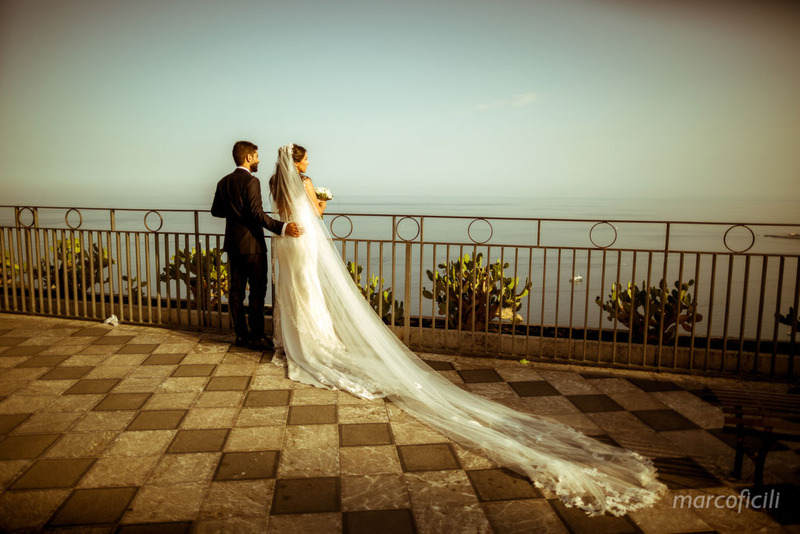 They got married at the antique Palazzo Duchi di Santo Stefano, the old heart of Taormina. 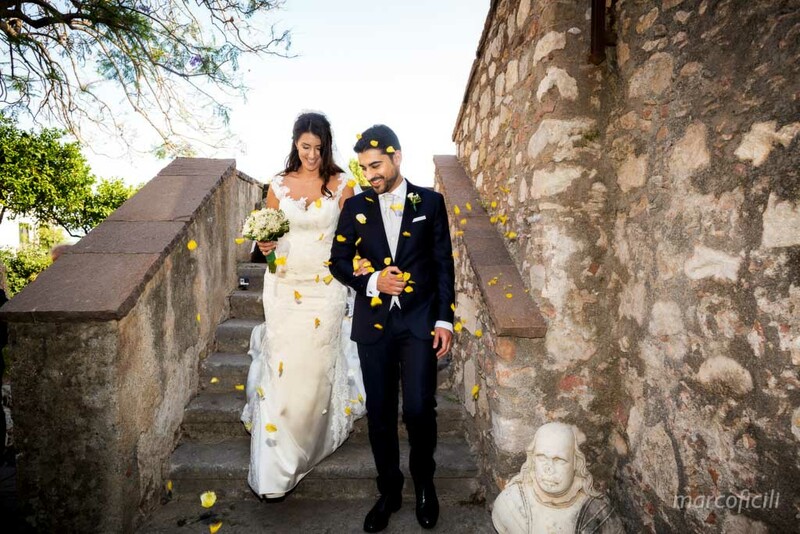 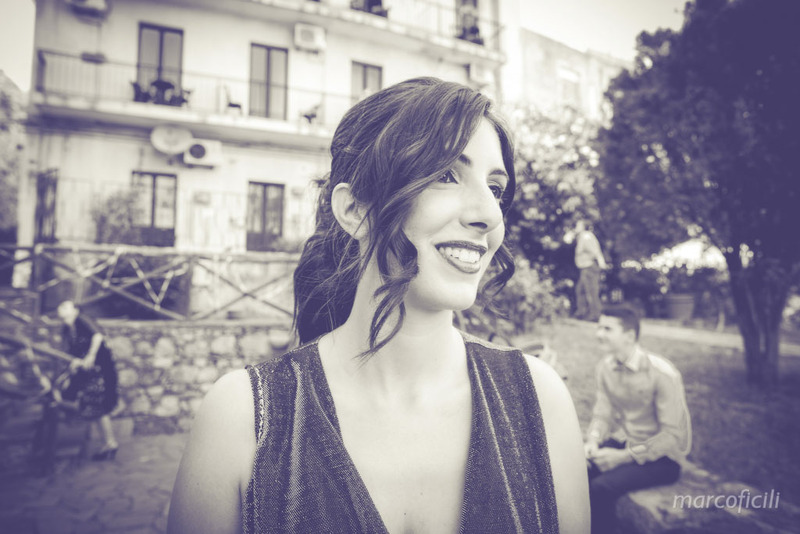 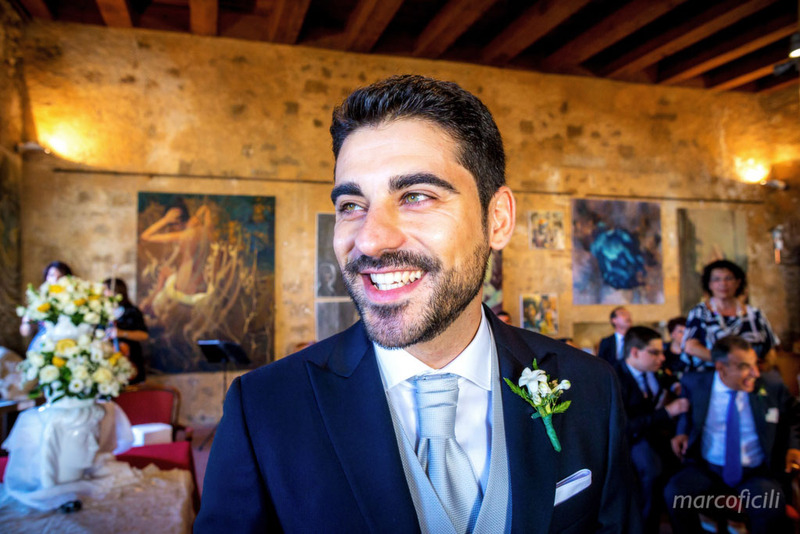 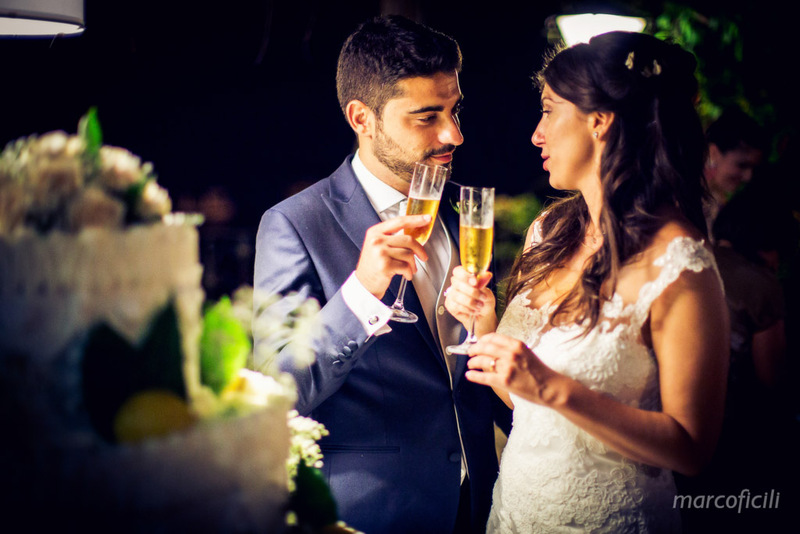 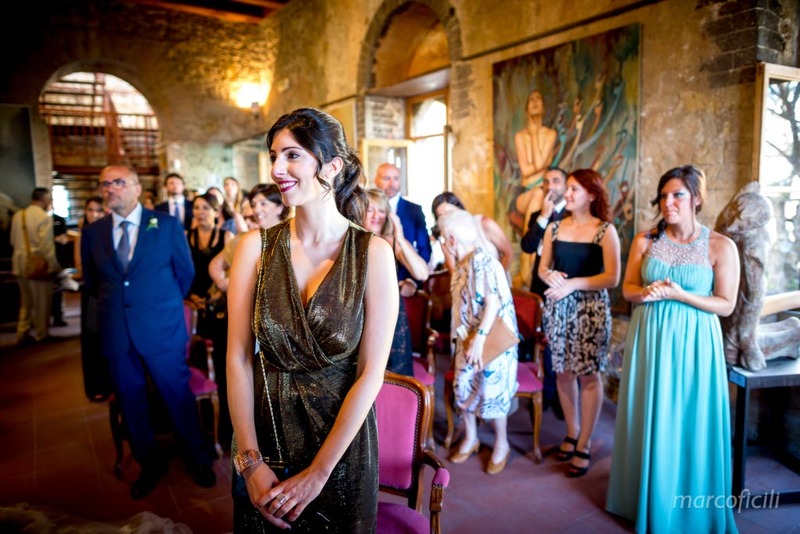 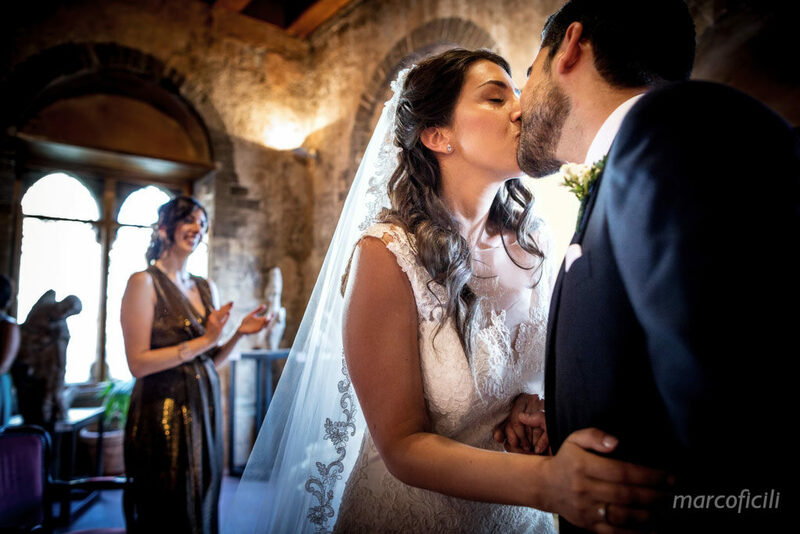 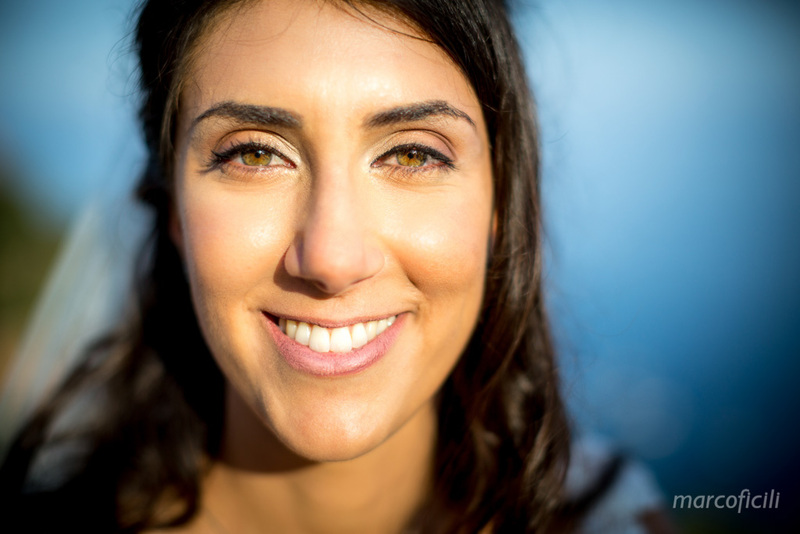 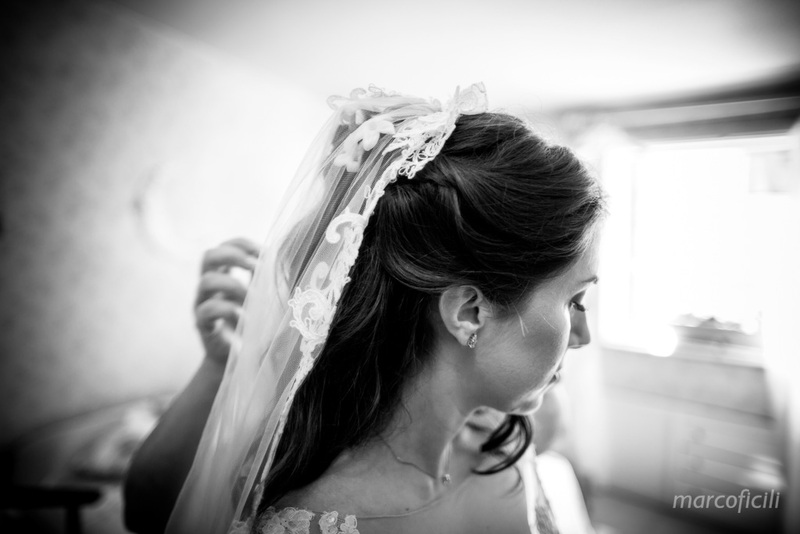 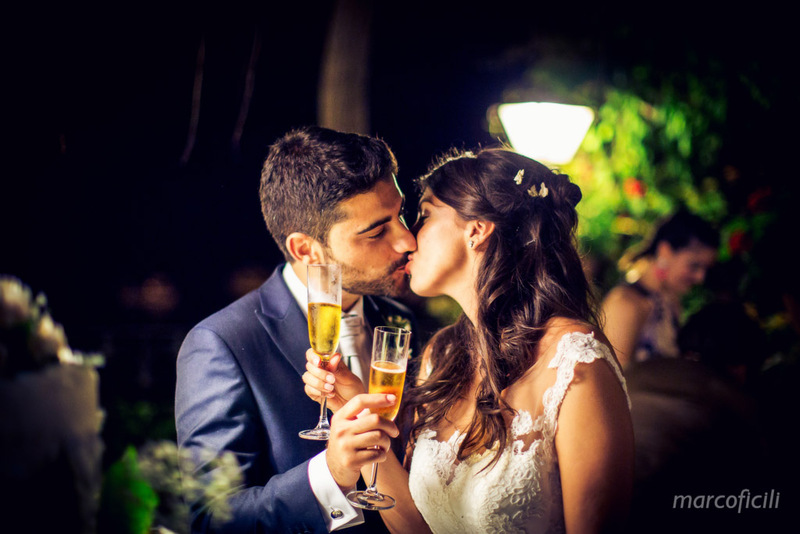 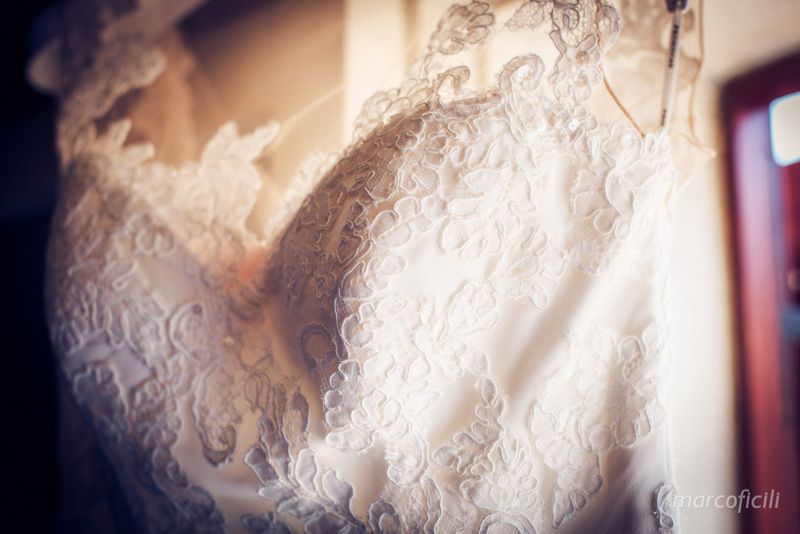 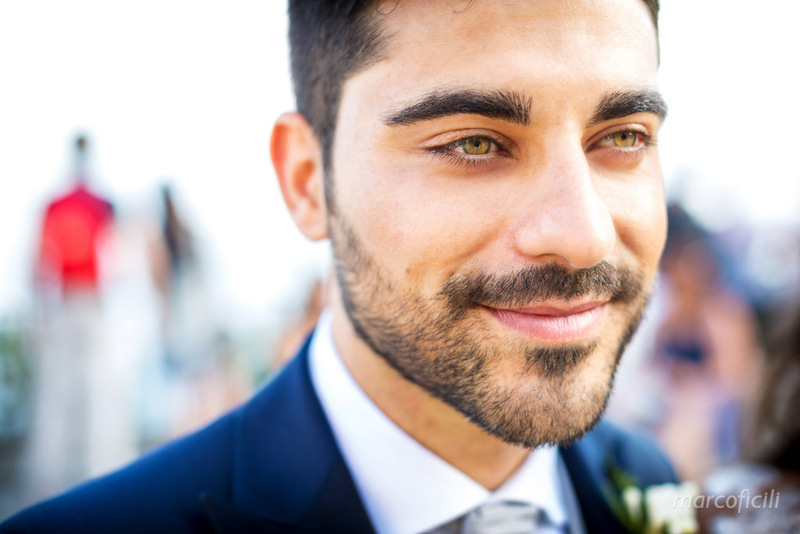 Elena got ready at her home by the sea, together with her lovely family and Antonio made a toast to his Big Day with family and close friends, before leaving home to reach Taormina. 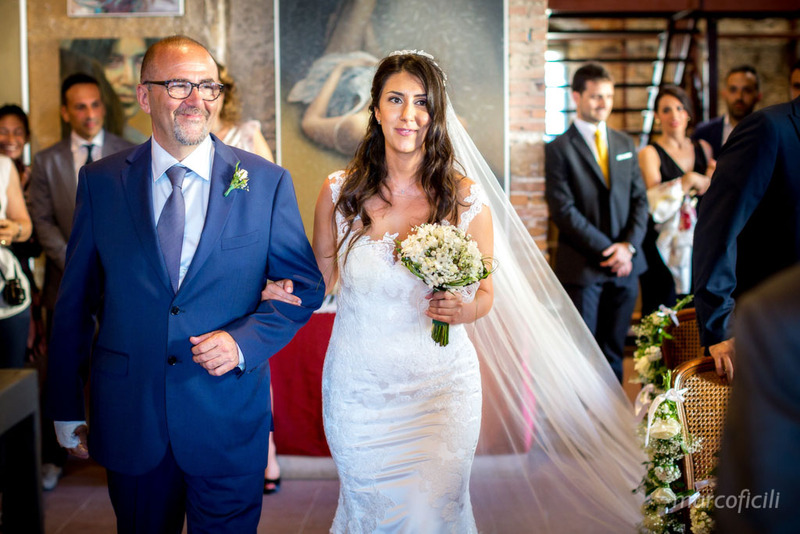 Beautiful in her stunning wedding gown, Elena walked with her proud father to the noble Palace, while Antonio was impatiently waiting for her in the middle of the ceremony hall. 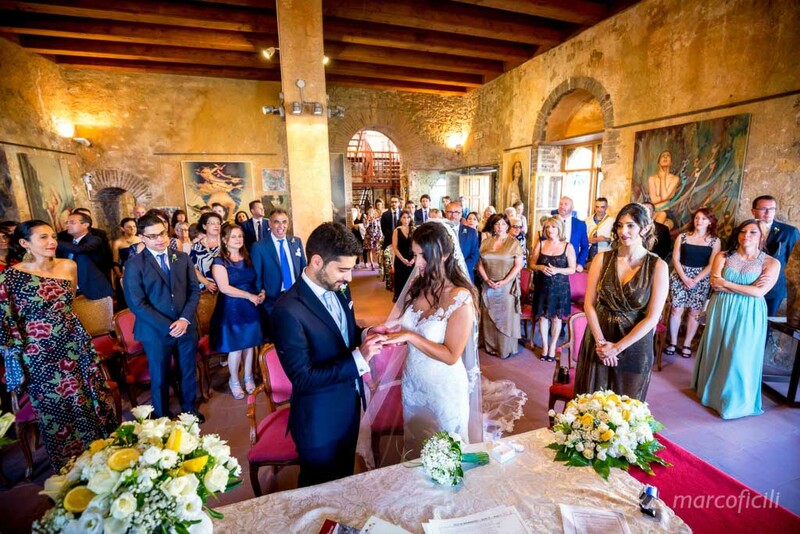 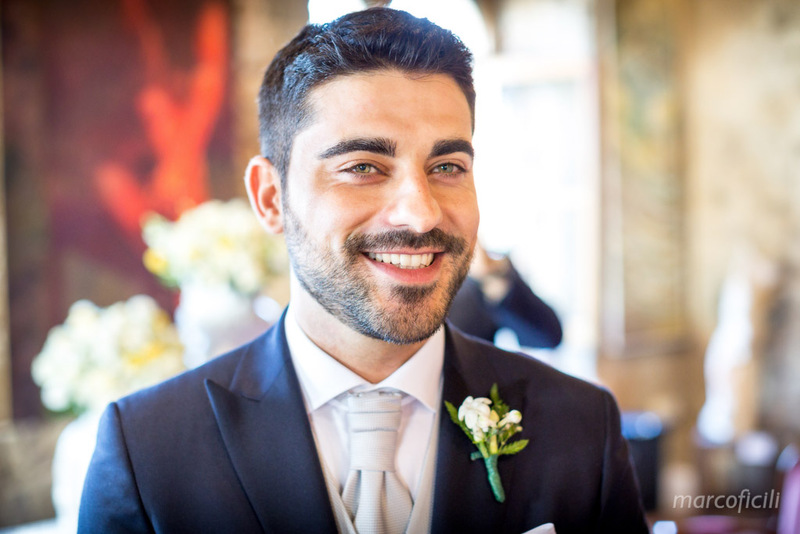 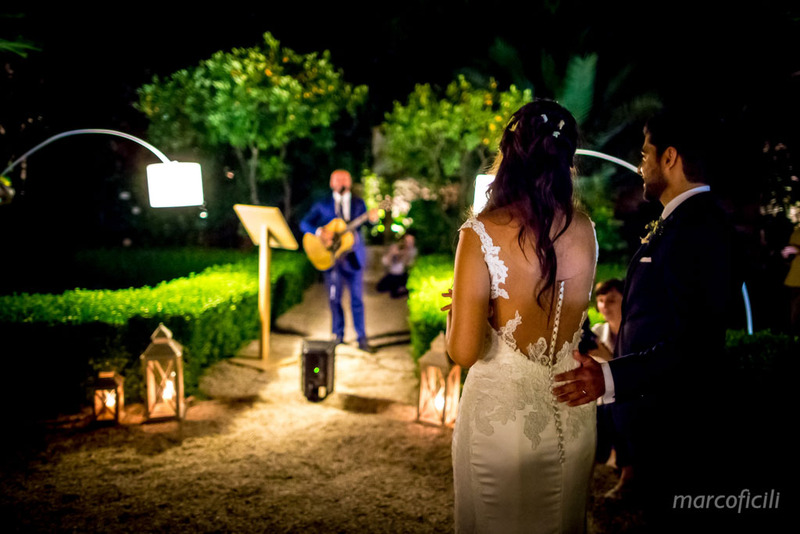 The guests attended a lovely, beautiful ceremony, a dream come true for Elena and Antonio. 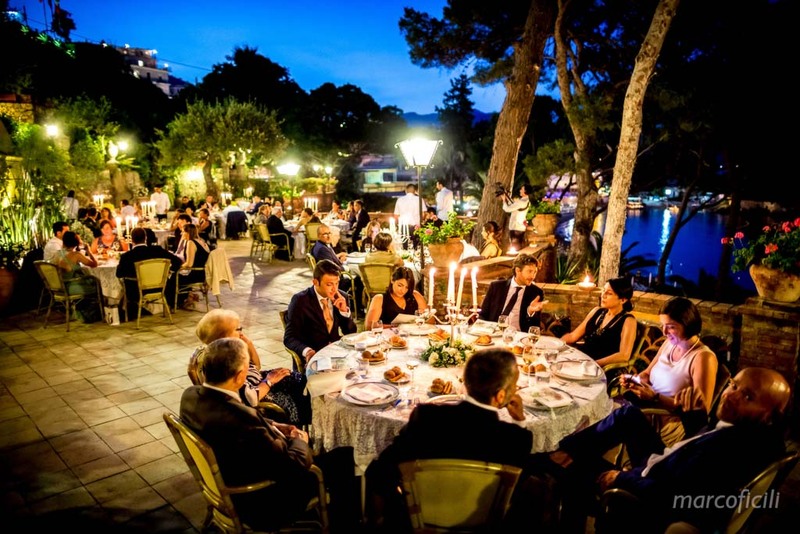 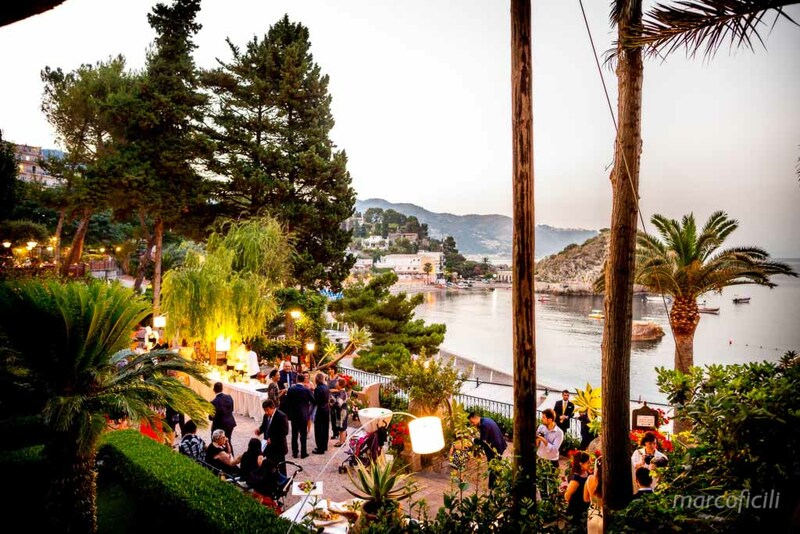 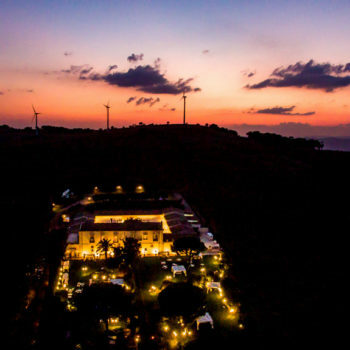 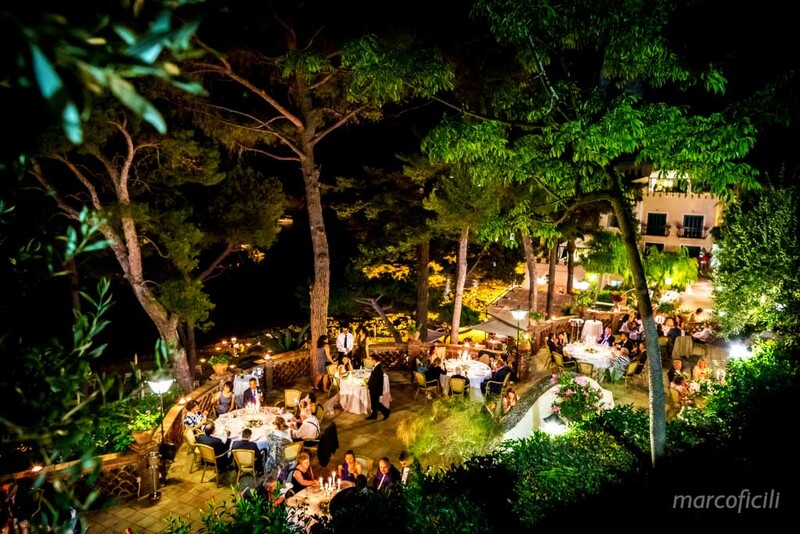 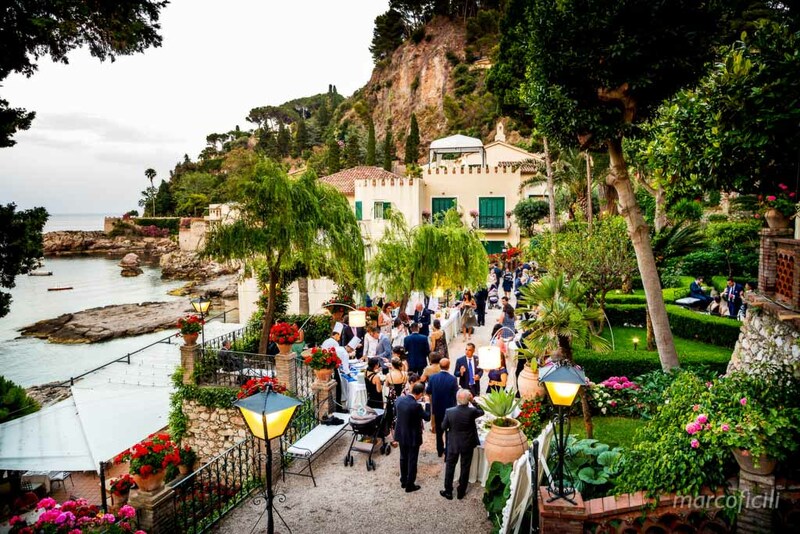 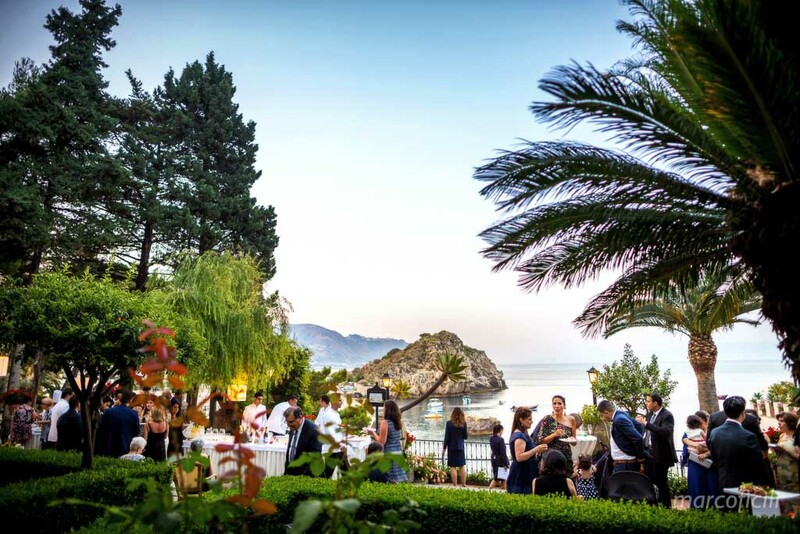 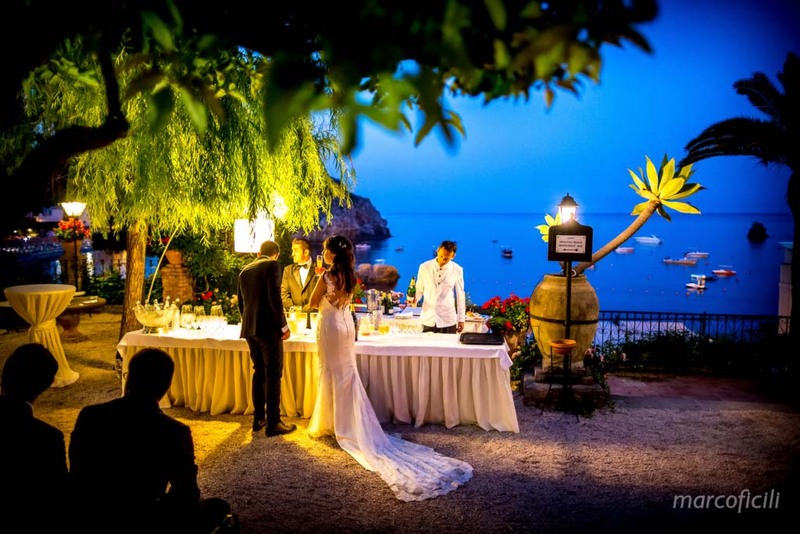 Right after the ceremony, the wedding couple celebrated their wedding party with friends and family at the Villa Sant’Andrea, a truly corner of paradise by the sea, where they danced and enjoyed their big day, overlooking the gulf of Taormina.